You Are Here >> Home » Frugal Living » How to Save Money » 10 Save Money on Gas Tips + 4 Gas Rebate Apps! If you drive around as much as I do with 5 kids then you need all the ways to save money on gas you can get your hands on. I will say my favorite way is with gas rebate apps. besides my normal bills and groceries, gas is the next biggest variable expense in my budget so I've been hunting down ways to save money on my gas bill! I already shared how to Earn Money from Your Car and make it pay for itself. Join a Fuel Reward Program – Many offer things like 10¢ off a gallon for every $100 spent. Also, check out your grocery store for reward programs. Stores like Kroger and Giant Eagle offer money off per gallon based on your grocery bills. Coast – This is a big one for my husband he doesn't get it but the sooner you let off the break and coast before hitting your break the less lass you will use. Why not let your car's momentum work for you? Stock up on Free Gas Gift Cards – I shared my 45+ Ways to Earn Amazon Gift Cards for Free! Many of those places will let you cash out for gas gift cards too if not you can use the Amazon Gift Cards to get Visa Gift Cards for gas. Buy Discount Gas Gift Cards – Sites life Gift Card Granny allow people to sell unwanted gift card so you can buy them at a discount. At the time of writing this, they offer up to a 10% saving on gas cards. Consider a Gas Rewards Debit or Credit Card – I don't like suggesting credit cards but if you can pay it off each month the reward many of the gas cards offer are worth it. Everything from cash back to money off at the pump. 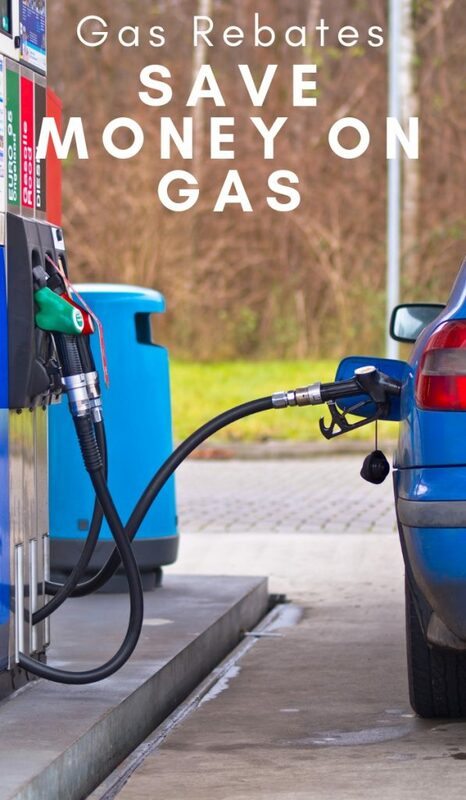 Buy Early Morning or Late in the Day – Gass is denser when it's cool so as the temperature rises you get less gas when you pump. Buy Gas on a Monday or Tuesday – Gas prices start to rise on Wednesday and peak around Friday for all those weekend travelers! Turn off the Engine – We are all guilty of it, one person runs into the store the other stays in the car with the car running. Roll down the windows and turn the car off to save some money! Turn off the A/C – Driving with the air conditioning on will use more gas. So when you can roll the windows down! Tighten Your Gas Cap – Gas will evaporate when it gets hot so make sure your cap is nice and tight! GetUpside – This is the most popular right now and it's easy to see why! You can earn up to 25¢ back per gallon you bought when you upload your receipt to the app. Now not all gas stations participate. Around me, Shell is the big one earning me back between 20¢-25¢ a gallon depending on which station I stop at. A little ways away there are a few Marathon's and Citgo offering 30¢ gallon cash back. Download GetUpside now and use referral Code DANIELLE2738 and you will get an extra 15¢ cash back on your next fill up! Turnow – I like this one because you can earn just by reporting gas prices. You also get 1%-2% cash back for each receipt you submit (and you can submit the same receipt to this app at the GetUpside app above) Download the Turnow App now use code 4H5V76 and get a bonus 50¢ when you upload your first receipt. Related: 12 Apps That Make You Money on Your Shopping Trips! 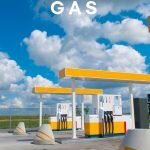 GasBuddy – Sign up for their GasBuddy Pay card. It is linked to your bank account and you use it as a debit card on gas purchases and earn 5¢ per gallon cash back. Ok, the 4th option is more of a hack than an actual app. Buy a gas gift card online using a site like Swagbucks or Ebates where you will earn cash back on your purchase. Take it a step further and get a Walmart gift card and use it at the Murphy USA pumps and earn an extra 3¢ off a gallon. So there you have it my best ways to save money on gas and my favorite gas rebate apps. Do you have any other tips?